SEE TWO VIDEO INTERVIEWS, BELOW. Erica Oberg, ND MPH is a naturopathic doctor whose approach to health and healing combines the rigors of science and research with the wisdom of nature and our bodies. Dr. Oberg received her doctorate in naturopathic medicine in 2003 from Bastyr University, followed by accredited residency. She completed a fellowship at the University of Washington’s Health Promotion Research Center, obtaining an MPH in Health Services with emphasis on diabetes, nutrition, health promotion and positive behavioral change. She joined the Guarneri Integrative Health, Inc. team at Pacific Pearl La Jolla when it first opened doors, January of 2014. Dr. Oberg approaches the nutritional and lifestyle dimensions of health with options that resonate no matter where you are. She offers micronutrient and genetic testing to understand your personal needs. Strategies for improving nutrition range from IV infusions to cooking classes to personalized diets and foods, as well as a strong emphasis on healing “food fretting” and developing nourishing eating behaviors. She believes that patients bring as much expertise to the conversation as the doctors and as such, she honors a team-based approach to healthcare. She specializes in identifying the underlying causes of disease; patients with “undiagnosed” conditions such as fatigue or malaise often ask ‘why didn’t other doctors look into my health this thoroughly?’ She enjoys working with people with endocrine and hormone conditions, auto-immune disease, people ready for lifestyle transformation or weight loss, families who want to get healthy and stay healthy together, and anyone looking for a preventive, proactive, wellness-oriented doctor. She also leads the Naturally Clean & Lean lifestyle change program at Pacific Pearl. Previously, Dr. Oberg served as a Medical Director at Bastyr University California and before that, she practiced primary care and integrative endocrinology for 10 years at the Institute of Complementary Medicine located within a hospital in Seattle, WA. She is proud to have started a no-cost, grant supported natural medicine community clinic within a senior center in Edmonds, WA which continues to thrive and serve the community over a decade later. 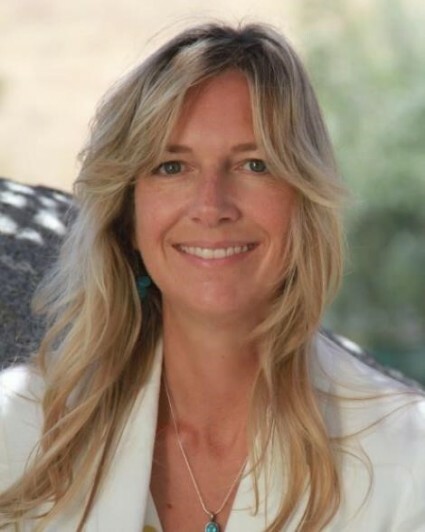 Dr. Oberg is also a researcher and her studies have been supported by the National Institute of Health (NIH), the WA State Department of Health and numerous foundations. She has published over 35 peer-reviewed research papers in topics including Echinacea and vitamin D, diabetes, nutrigenomics, integrative nutrition, and the meaning of health & wellness. One series of studies examined the role of practitioners’ own health behaviors, finding that when doctors practice what they preach, patients get healthier too. This attitude is why Dr. Oberg and Dr. Kalina lead a free community walk at Windansea beach every Friday from 8-9am! When not partnering with patients in healing through personalized integrative medicine, Dr. Oberg tries to walk her own talk. You will find her cooking easy plant-based treats, leading lifestyle retreats internationally, and paddle boarding with her little dog Siddha. She is currently accepting new members and patients at Pacific Pearl. In this video, Dr. Erica Oberg discusses IV Therapy with Dr. Mimi Guarneri, Medical Director of Guarneri Integrative Health, Inc.